Usman Khawaja has gained three slots to reach 13th position. Windies bowlers Holder, Gabriel and Roach among top 12; Cummins grabs career-best second position while other Australia paceman Starc rockets 10 places to 15th. 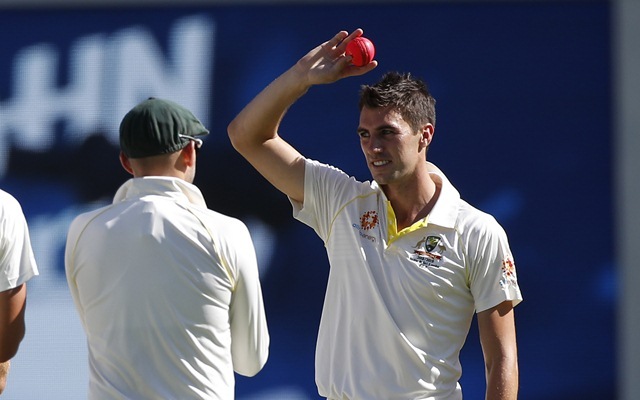 Windies captain Jason Holder and Australia’s Pat Cummins led a charge of the fast brigade in the MRF Tyres ICC Test Player Rankings after their sides completed commanding victories over England and Sri Lanka, respectively. The Windies batsmen to advance include Kraigg Brathwaite (up one place to 33rd), Shane Dowrich (up two places to 45th), Shai Hope (up five places to 46th) and Darren Bravo (up two places to 55th) after his determined 50 in 342 minutes. For England, Jonny Bairstow’s first-innings half-century has helped him push up two places to 23rd position while wicketkeeper Ben Foakes has gained eight places to reach 64th in the list. Meanwhile, there has been no change in the MRF Tyres ICC Test Team Rankings, which are updated at the end of each series. Australia though have gained three points after winning the two Tests against Sri Lanka. They remain in the fifth position with 104 points while Sri Lanka have lost two points but stay ahead of Pakistan with 89 points. 5 Henry Nicholls NZ 763*! 20 Travis Head Aus 644*! 45 Shane Dowrich Win 535! 2 Pat Cummins Aus 878*! 6 Jason Holder Win 778*! 53 Alzarri Joseph Win 288*! 54 M. Labuschagne Aus 285*! 1 Jason Holder Win 448/*!